When Sushi Hotaru first opened, I (like everyone else) was a huge fan of their cheap as chips, yet good quality and inventive sushi. Over the intervening years however, I’ve found that both the quality and quantity have dropped somewhat, whilst being accompanied by a price hike. With that said, $3.3 is still very reasonable for a plate of sushi off the train, but combine everything else with the perpetually brutal queues, and I find myself searching for a new sushi train bae. I had heard about Tetsujin when it first opened, and I was rather curious about the combination sushi-train-and-BBQ restaurant. However, after a lukewarm response from a few friends, as well as the foodie community at large, I pretty much wrote the place off. But desperate times call for desperate measures, and I’ve finally found myself at Tetsujin, more than a year after its opening. 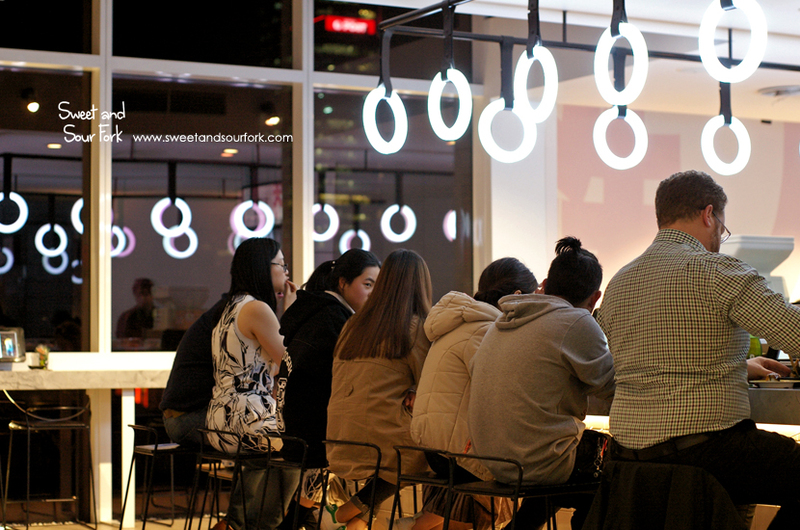 Tetsujin is divided into two distinct sections – a sparklingly futuristic sushi train out front, and a dark BBQ section out back with an underground grunge-cool vibe. 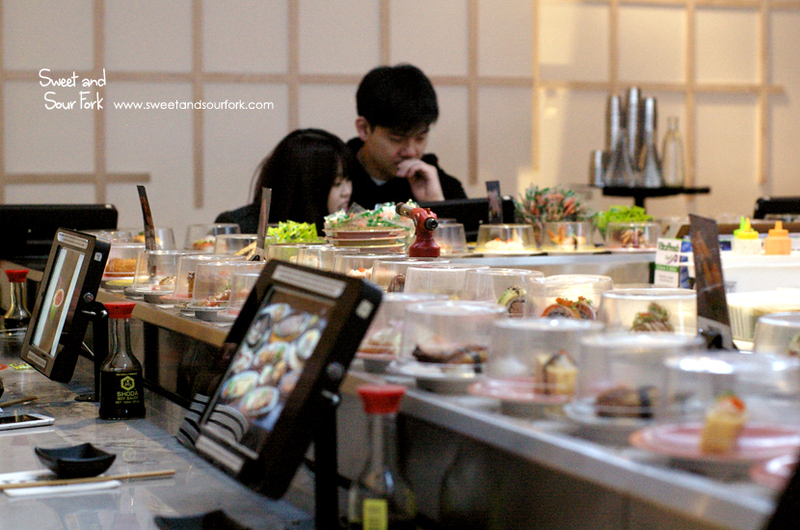 I was a fan of the sharp, modern fit out of the sushi train, but definitely less keen on how cramped it was. The plates on the train are a universal $3.8 each, and there are premium plates/hot dishes available via touch screen. 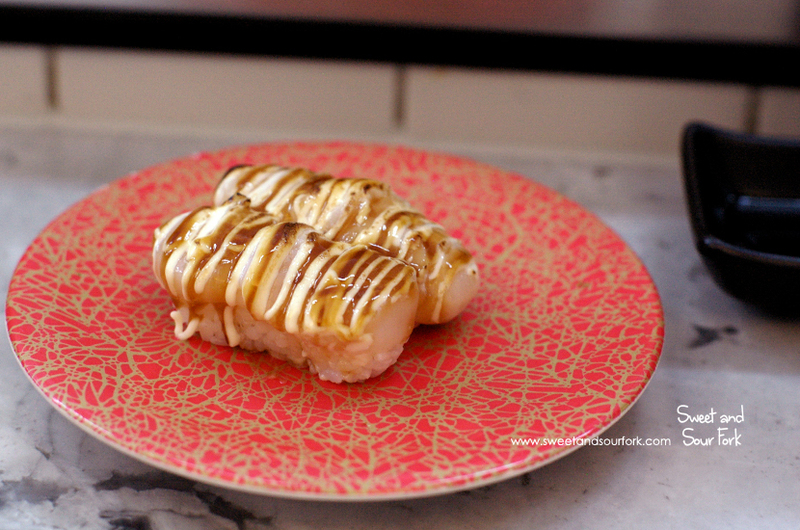 The first plate I pick up is the Aburi Scallop ($3.8). It is tasty enough, the scallops topped with squiggles of mayo and BBQ sauce. However, this sushi would’ve been vastly improved by a few more seconds under the blowtorch to give it a richer, more caramelised flavour. 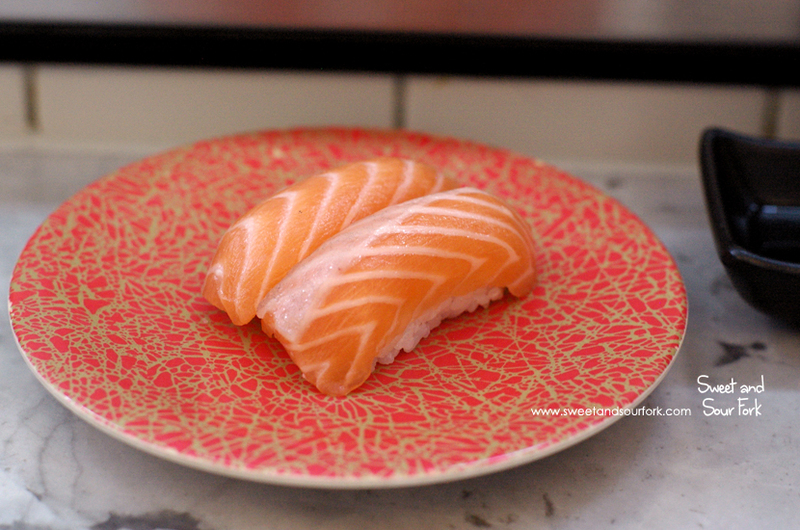 The Salmon Nigiri ($3.8) is another go-to dish for me. This one was only passable, as the salmon was a bit stringier, and less buttery than I had hoped. 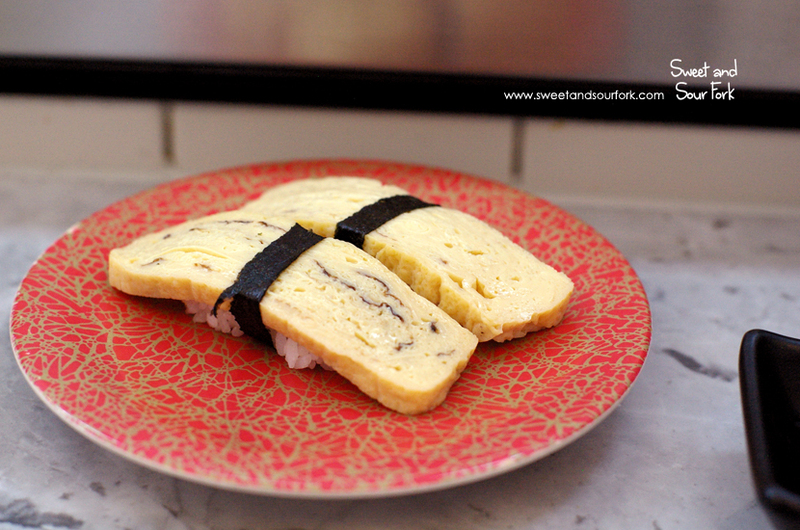 The Tamago Nigiri ($3.8) was Chris’ choice, and the sweet egg omelette on rice tasted exactly as you’d expect. 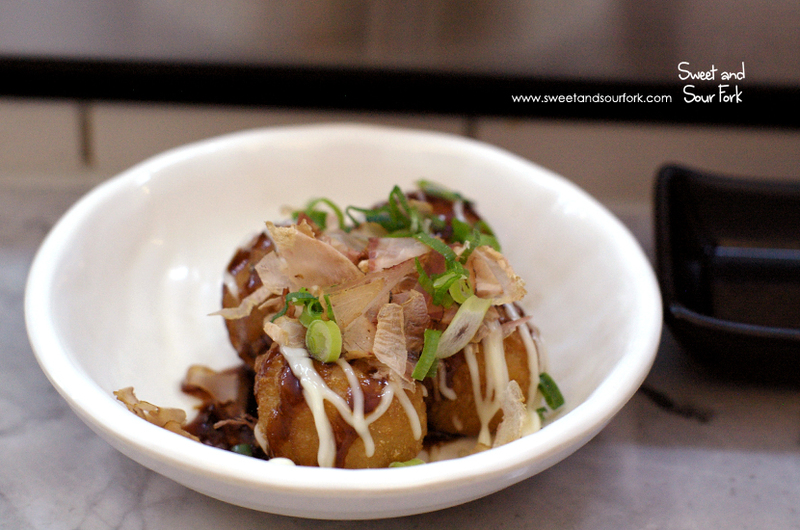 Similarly, the Takoyaki ($3.8) was satisfactory, the crispy balls of octopus in batter topped with a generous amount of sauce and bonito flakes. 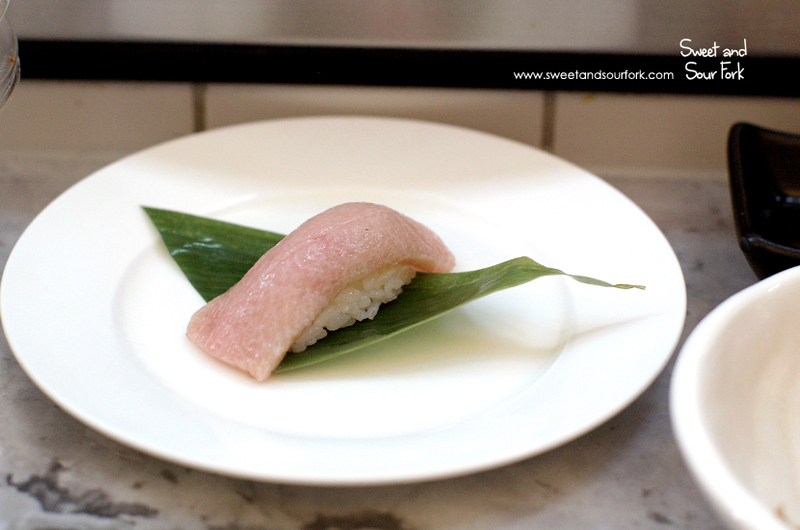 The Otoro Nigiri ($5.3) was one of the premium plates. At $5.3 for a single piece, the tuna belly doesn’t come cheap. And I’m not sure I’d say it’s worth it either; whilst high fat content meat that the fish did indeed melt in the mouth, it also didn’t taste super fresh. But then again, it is sushi train tuna belly after all. 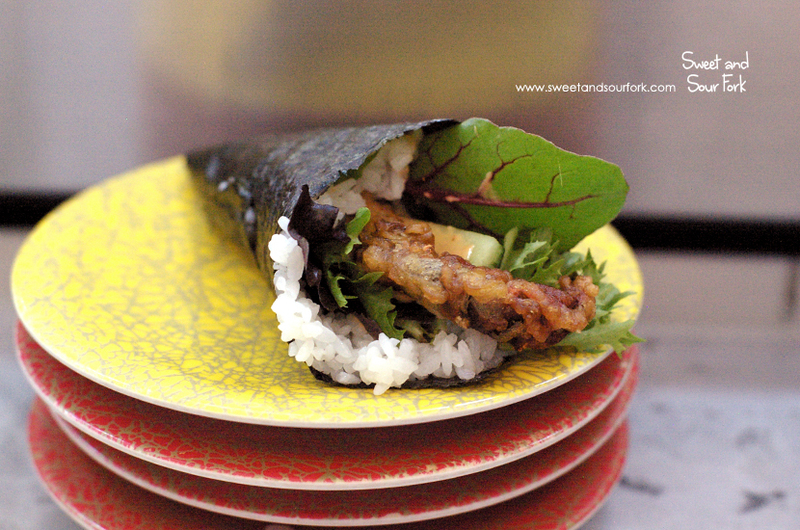 I got the Soft Shell Crab Hand Roll ($3.8) in order to compare it to the wonderful one made by Sushi Hotaru. 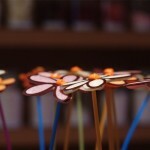 Regrettably, this one fell short. Not only could I barely taste the crab, whatever flavour there might have been was overwhelmed by the chilli mayo. The only good thing about this roll was that it was fresh. 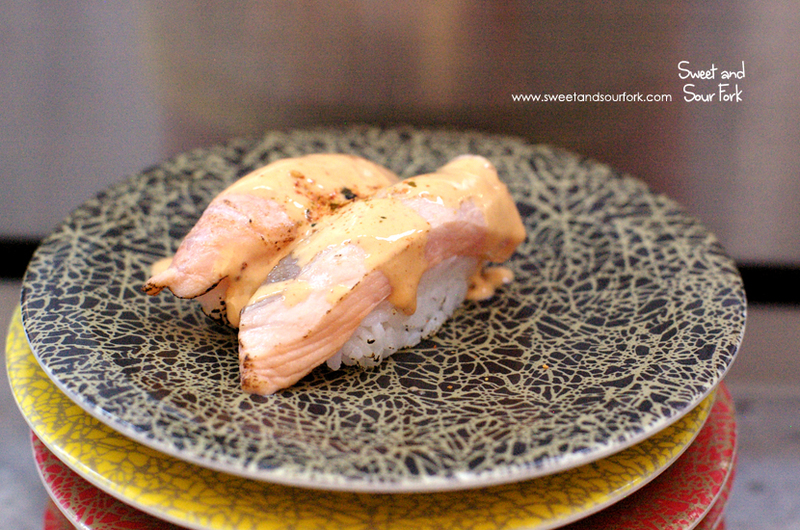 I feel a bit like a broken record by now, but the Spicy Aburi Salmon Nigiri ($3.8) wasn’t that great either. Once again, the salmon could’ve been blowtorched a little more to caramelise the fat, and the heavy usage of chilli mayo obscured the flavour of the fish. The Wagyu Yakiniku Nigiri ($4.3) isn’t something I’d normally go for, but this one was reasonable. 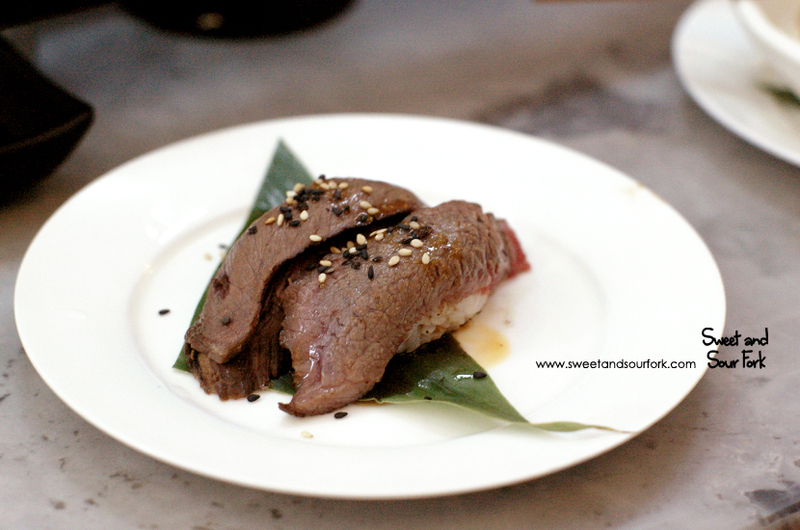 The beef was fairly tender, and it tasted good marinated in teriyaki sauce and seared. 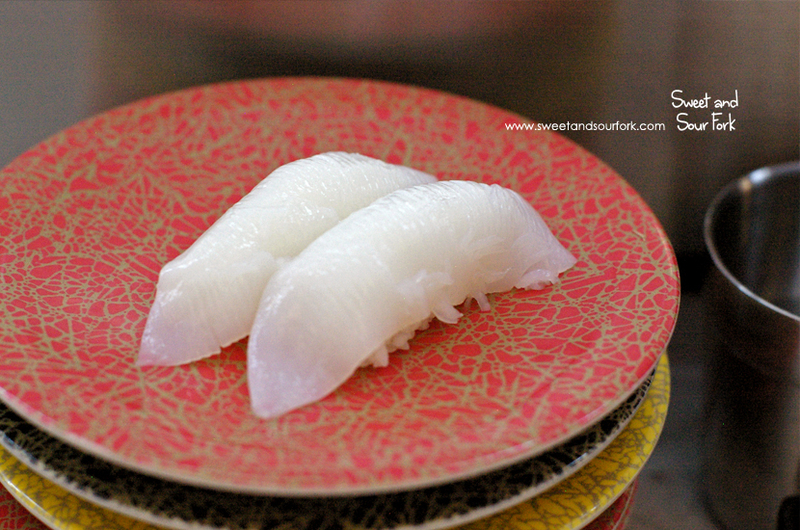 Surprisingly, the Cuttlefish Nigiri ($3.8) was actually outstanding. The cuttlefish was fresh and gelatinous, and tasted great with a dab of soy sauce. 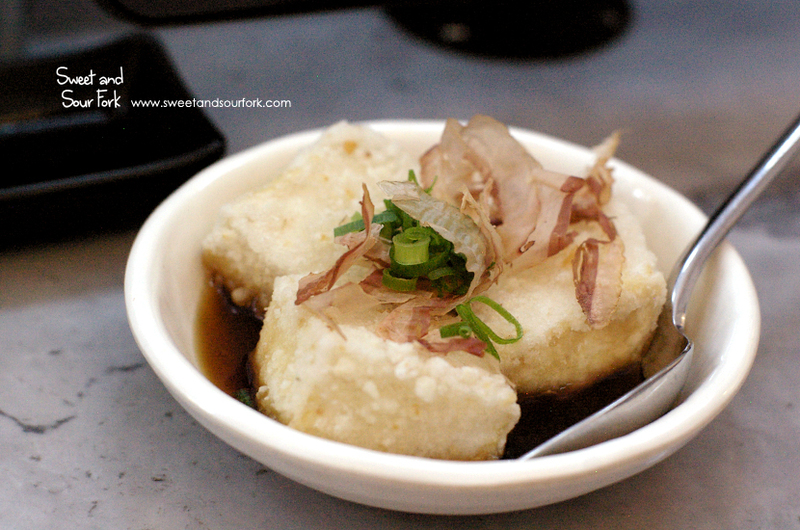 To finish off, we ordered the Agedashi Tofu ($3.8) as a bit of a filler. Whilst the tofu was light and crisp, it also tasted a little greasy, and the dashi broth was much too salty and one-dimensional. As I’m sure you can tell by now, Tetsujin failed to impress. Despite costing 50c more per plate, the sushi was significantly inferior to the offerings at Sushi Hotaru. Although there was no queuing required at Tetsujin on the night of my visit, I can’t pretend that being crammed so closely with my neighbour that I couldn’t get out of my seat was very enjoyable. In fact, the best thing I could say about Tetsujin is that it made me appreciate Sushi Hotaru a little more. Rating: 11/20 – not good.